Egypt is known for having some of the finest and most exciting diving sites in the world. Multiple sites are listed as Egypt’s marine parks which are protected by regulations that prevent any activities that could lead to the destruction of, or damage to, the wildlife. Yet, this week the whole sea is under protection for the next seven months! The Head of the General Authority for Fish Resources Development (GAFRD), Dr. Ayman Ammar, announced that fishing in the Red Sea is banned for the next seven months; from February till September. Ammar stressed that the decision aims at increasing fish production and achieving biological balance, without affecting fish prices in the market. Ammar added that total fish production from the Red Sea and the Mediterranean amount to 120,000 tons. This is the best thing I’ve heard all month and I honestly can’t help but salute the government for such a decision. Every now and then, a video goes viral on social media of illegal activities taking place such as killing or disturbing the wildlife of the Red Sea. May this be a chance to preserve and rehabilitate our marine life! Update: According to gafrd.com official website, Ammar announced that the decision to ban fishing is now being reconsidered and will be allowed during February until further notice. 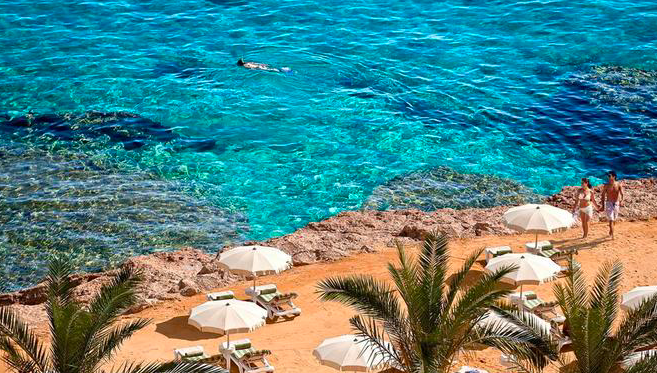 WE SAID THIS: Don’t miss Egypt’s Red Sea Ranked 3rd Amongst Top 10 Scuba Diving Destinations In The World!